Sambhu Nath De graduated BSc from the University of Glasgow in 1936. De was born in Calcutta (Kolkata), son of Jogendra Nath, a landlord, and graduated BSc from the University of Calcutta before enrolling at the University in 1930, aged 23. De attended the University between the years of 1930-35, taking classes in Mathematics, Natural Philosophy, Chemistry, Engineering, Mechanical and Electrical Engineering, Heat Engines, Engineering Design and Production, as well as Industrial Physchology. In session 1930-31, De was awarded a first class certificate in the ordinary class of Applied Physics under Professor Andrew Gray, and a certificate of merit for Chemistry for Engineering. 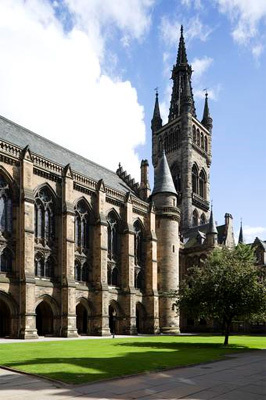 Upon his graduation in 1936, De continued to reside in Glasgow working as a mechanical engineer. During the 1960s, De returned to India, where he worked at the Ministry of Works in Bombay (modern day Mumbai).